"We had such a lovely time staying at the Tinker's home. All of our expectations were definitely exceeded. Right when entered the house we all walked to the back patio to take it in the incredible view and immediately regretted only staying two nights. The house itself was amazing as well. The one room that is considered a suite is comparable to three other rooms is the house. So very spacious and beautifully designed. Harry (the live in chef) was incredible, he did everything to make us feel the most comfortable and he is a darn good cook. Lorrain was so kind to help us book a Safari in advance. And Andy was there to greet us upon arrival to make sure all was well. It rained the night before our flight and we had a bit of a concern that we wouldn't be able to make it out on the dirt road. Andy rushed over see us out. Well really he completely saved the day, driving our car out to safety. Talk about full service! Thanks so much for everything Tinker Family! We greatly appreciate the hospitality. We hope to be back one day. By far my best Airbnb experience to date." "Amazing Villa! Andy and Lorrain was really helpfull, best tips and helping us organize the Safari, elephant sanctuary etc... The house is absolutely gorgeous, from the design and facilities, I think you can not see how much t's big from the photos, believe me, the house is absolutely spacious, It's a perfect place to enjoy Kruger and some attractions on the area, if you are planning to go to that area this house it's absolutely a 5 stars Villa - Hotel! Harry (live in housekeeper and chef) who was absolutely very profissional and kind to our family, specially with my daughter (Marija 3 years old), he cleaned the house daily and prepare breakfast and cook for us. In the terrace you can prepare a nice barbecue, Harry prepared us and it was really delicious. There is also a game room so we played snooker and ping pong in family, it was really fun! Not to mention fishing in the lake! Our family really enjoyed this place and we will very soon be back, for me and my family we said it was an Aman resort villa!" "From when we made the booking, to check-in and during our stay, Andy and Lorrain were amazing and helpful. Upon arrival, we were greeted by Harry, the live-in chef and house-help, who gave us a tour of the house and welcomed us with a bottle of bubbly and chocolates. Our first impression of the house was just absolutely breathtaking - great location, amazing furnishings and spectacular views. We were a group of 10 and stayed 7-nights. Every morning and evening, Harry helped us prepare breakfast and dinner. During the day, he would always be available to guide us through the house and keep us company. Harry took us for a boat ride and helped us with our fishing expedition - which wasn't the most successful but this also had nothing to do with Harry but rather our fishing skills. The kitchen has every utensil one needs to cook and bake - and generally survive for 7-nights. Fire place for the chilli nights and the outside patio with fans for the hot summer nights. This is a great holiday destination for those looking for tranquil surroundings. Probably the most impressive of all were the spacious rooms (bedrooms, bathrooms and living spaces included) and the fact that we had a view of the dam from practically every room. The photos on AirBnB being impressive, but they don't do this house justice. Andy and Lorrain were very accomodating. Always available to help us with anything and everything. They went beyond just being hosts." "What an amazing house!!! Just spent 3 fabulous days here with 8 friends and we loved every minute of our stay. The location of the house is stunning with the most gorgeous views across Da Gama Dam. The house itself is incredible, beautifully designed with huge rooms, very high quality fixtures and fittings all coupled with balconies and stunning views from every window. Truly like staying in a top 5 star hotel!! The house comes with the fantastic Harry as the housekeeper who makes the beds, cleans the house, cooks breakfast and dinner if you want (you provide the food), takes you fishing on the lake in the private boat and then serves you drinks at the 8 seater bar in the evening (you provide the drink). We were spoilt like royalty!! Can't fault this house in anyway and Andy & Lorrain were brilliant hosts stocking up the house with beer at our request and calling us each day just to make sure all was well. Didn't want to leave and will definitely be back!!" "Beautiful house in a beautiful location with lots of interesting activities within 20 minutes driving distance. The adjacent Lake also provides additional options for activities. The house was really clean and all the rooms were very spacious. The group of 10 easily fit in comfortably. The hosts were very helpful in making sure that we got the right directions to the house and they also provided awesome suggestions for activities. The real game-changer was Harry, the live-in chef who made sure our every need was taken care of. Overall, we had a 5 star experience and truly memorable weekend." "This is a beautiful house in a wonderful location. The attention to detail is stunning. Sitting on the patio watching the sunrise was such a pleasure. The bird life was fabulous and the bushbabies are an added bonus. Andy and Lorrain were very helpful hosts. In addition, Harry, who looks after the house, also looked after us! This meant that there was none of the normal difficulties of being in a strange house and wondering where things are and how things work. It made for a completely relaxing stay and he was charming. This house has masses of space but it never felt too big. Good instructions meant that it was easy to find. There are other houses around the dam but the location of the house means that it feels very private and secluded. Staying in Andy and Lorrain's house was a real treat and felt like a privilege." "What a beautiful house! VERY spacious with more than enough common areas so that a group of four families (which is what we were) never have to feel cramped. Great service from Harry, the housekeeper / chef. One of the best places I have ever stayed, and all my friends agreed." "My group and I had the most amazing time in Lorraine and Andy's home! It is beautiful, secluded with amazing views! We never actually met Andy and Lorraine, but they where always a phone call or sms away. Andy phoned me a couple of days before the trip and recommended a couple activities for us and also arranged a game drive for us. He was also always in contact to make sure we did not need anything or help us with anything we needed to know. As and added bonus, we had Harry (the caretaker of the house) help us with the cooking and cleaning- he was so great and helpful. What an amazing experience! Would highly recommend this to anyone who wants to relax and get away from the real world!" "What a wonderful stay we had there ! The house is beautiful with a magnificent view on the lake. The moon rises just in front of the patio and it creates a very special atmosphere indeed when its smooth light softly shines on the lake. The house is very well appointed with a great attention to detail and offers stunning features like the face to face basin in the ensuite bathroom. There is a lot to do in a 30 min radius, from Mbt to river rafting and the Kruger park is just there. We had a lot of fun playing squash which court is merely 200 meters away. This is ideal for a 2 to 3 family trip to the Kruger and our hosts were kind, available and always ready to go the extra mile. They will most probably see us again !" "Had a relaxing holiday in this unique, Africa inspired retreat overlooking a lake. Bird life was a delight. A boat ride in the evening is a must. There were plenty of attractions in close driving range. But for a get away from city buzz this was the perfect antidote. This is something I want to do again and again." "What a wonderful stay we had there ! The house is beautiful with a magnificent view on the lake. The moon rises just in front of the patio and it creates a very special atmosphere indeed when its smooth light softly shines on the lake. The house is very well appointed with a great attention to detail and offers stunning features like the face to face basin in the ensuite bathroom. 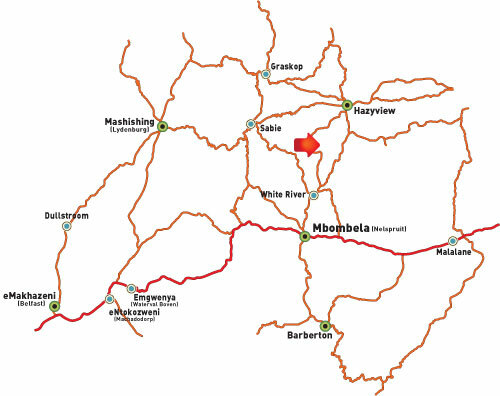 There is a lot to do in a 30 min radius, from Mbt to river rafting and the Kruger park is just there. We had a lot of fun playing squash which court is merely 200 meters away. This is ideal for a 2 to 3 family trip to the Kruger and our hosts were kind, available and always ready to go the extra mile. They will most probably see us again!" "A night at Lorraine and Andy's home is too little - but better than nothing. It's gorgeous, peaceful and truly a space to enjoy yourself. I'm still not sure whether dusk is better than dawn - or is it all the bits in between. So looking forward to our next trip. Xox"